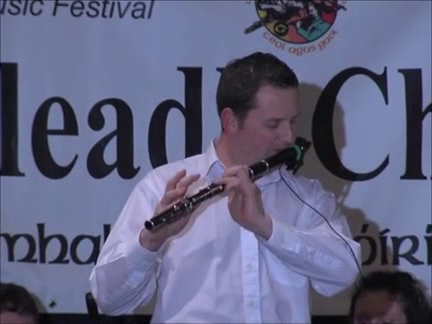 Three flute players with the famed Brú Ború group from Cashel, Co. Tipperary - Pauric Stapleton, Jim Egan and Conor Arkins - play a selection of reels: “O’Mahony’s” and “Mossy Banks”. Accompaniment is by Mary Kelly on harp and Eamon Moloney on bodhrán. Brú Ború were special guests at the Comhaltas \Convention 2014 in New Jersey.